The new prime-time drama series, Broken Vows, that’s set to air on e.tv in April, promises to leave viewers at the edge of their seats. The story follows the journey of two young women – Azania (played by Enhle Maphumulo) and Thandi (played by Jo-Anne Reyneke) – who juggle between running a successful wedding planning company, while keeping the deep, dark secrets of their lives under the carpet. 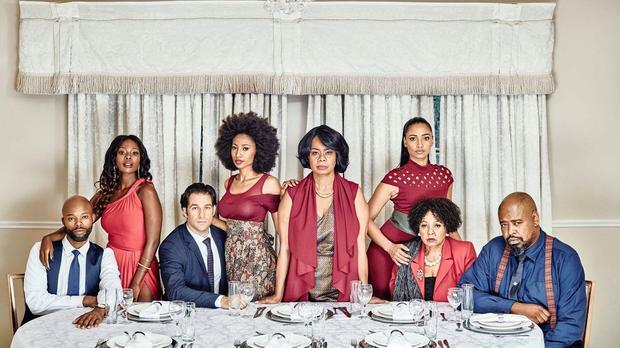 The two are entrusted by Moswane family matriarch Mam Gertrude, played by Thembi Mtshali-Jones, to be the best wedding planners in Johannesburg, but not all is rosy between the two. Azania is often burdened with the task of seeking her mother’s approval and outshining Thandi in running the business. Other heavyweight cast joining the show include award-winning actor Mandla Gaduka, Thapelo Mokoena, Emmanuel Castis, Shaleen Surtie-Richards, Lehasa Moloi and Nambitha Ben-Mazwi. The show also sees the return of one-time Zama Zama presenter Nomsa. Director Wandile Magadla said the show will bring an element of surprise, suspense, melodrama and light comedy that all viewers will identify with. “There is a lot of drama and our A-list cast put on an amazing act. Our aim is to make a series that people can relate to. “Even though it is mainly for entertainment, we want the viewers to feel at home when watching the show. They should want to stay home just to switch on the TV everyday to watch Broken Vows. “There are so many light comedy scenes in the show that, hours after shooting, I still think back to them and have a laugh, ” said Magadla. Although there is a main storyline that ties up the entire drama series, he pointed out that each episode will focus on the individual stories of each character as well. “There are many twists and turns in the storyline, as each character has his or her own issues to deal with – and skeletons in the closet, which they try very hard to conceal. “However, everything is slowly revealed during each episode. The series is targeted at the whole family and there is not a lot of sexual content,” he said. Magadla said they show will also keep up with everyday life. “We try to synchronise our episodes,so that the show celebrates special occasions with its viewers. “So, if it’s Mother’s Day in reality, we will celebrate on screen. By doing this, we hope to keep the show as current as possible – and it also makes viewers connect to the show on an emotional level,” said Magadla. Broken Vows airs on April 10 on e.tv at 8pm.